Today we'll be discussing some key facts about mould and dampness and your health. I'm going to review some of the main health issues people might experience if they spend time indoors inside a mould affected building and I'm also going to discuss some of the current research about airborne mould particulates and diabetes. Now, this is surprising! Because unwanted moisture is the cause of so much mould related problems like asthma, I'm also going to highlight a few case studies and provide some tips for minimising mould growth if you do unfortunately experience storm related water damage or have an unwanted plumbing problem in your home. 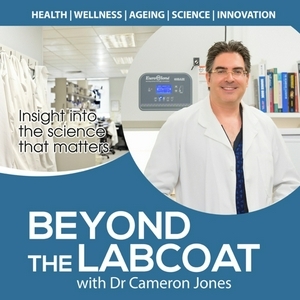 Take aways from this episode include a greater understanding of some of the classic and emerging health impacts that can occur from mould exposure as well as some of the ways to reduce these risks. What Experts Are Saying About Mental Imagery & Muscle Building — How thinking about exercise and mental performance rehearsal can have a big impact on strength and achievement. Episode 4 - Which Nutritional Supplement Works Against Influenza & Cancer? Which Nutritional Supplement Works Against Influenza & Cancer? — Let me tell you about mushroom-based nutraceuticals and how AHCC and related Basidiomycete fungi can help boost your immune system. I review studies showing how these supplements work with mice and humans infected with Influenza as well as an overview of their use in cancer treatment. The Simplest Ways to Make the Best of Short Sightedness — By 2020 over 2.5 billion people will suffer from short sightedness or myopia and it's a $US268 billion problem per annum. Find out how science can help with interventions to delay the onset or reduce or prevent progression. The Insider's Guide To Resveratrol — Natural products like resveratrol can modulate anti-ageing, anti-cancer and other anti-oxidant effects. What is it, how does it work, and why it could be important? Introduction to the show — It all starts somewhere, and this is ground zero for our first show #1. Let me tell you in this Introduction, what we're going to cover, why this matters and what you can do with this information. I'll introduce myself (your host) and tell you where the resources can be found and other social channels for content, feedback and follow ups.